This spring’s weather has got me more then a little confused as to what I’m supposed to be brewing. There were a couple amazing heat spells pushing the temperature into the mid 90’s followed by the most snow I’ve ever seen on the hills around wine country (about 2-6 inches). As a small brewer you try to plan out what you’ll have on tap to coincide with the seasons and the weather so my brain and brewing has moved onto summer even if the weather refuses to cooperate. Our summer selection of beers has already kicked off with Sweet Sunshine Kolsch & Nightfall Wheat both of which are already on tap and just waiting for the weather to heat up. We’ve also got the next round of beers already fermenting away in the box. 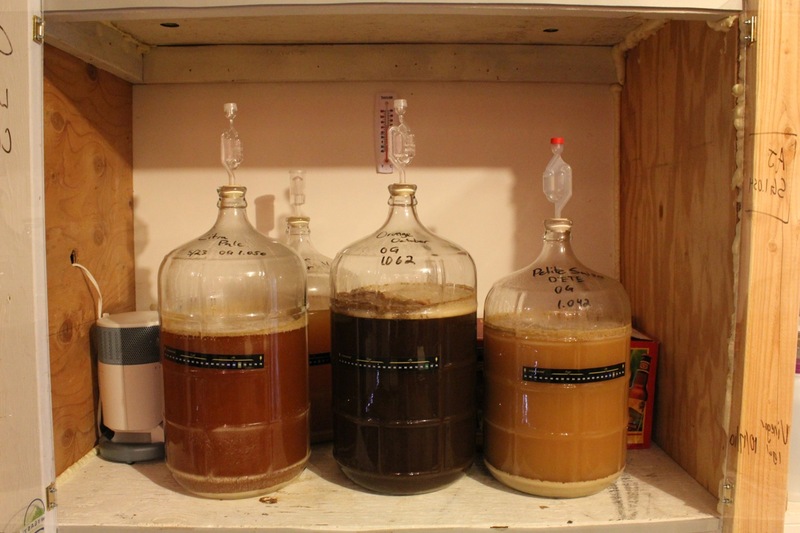 They are a Citra Pale Ale, an Orange Black Ale, and a Saison. The idea to brew a Citra Pale Ale came to being after an evening at Russian River Brewing Company in Santa Rosa. RRBC has an amazing beer called Happy Hop. It’s a pale with an IBU in the low 30’s (if my brain remembers correctly) but packs a huge hoppy nose and flavor from some major dry hopping. Eryn fell head over heels for it and decided she wanted to make her own version. For hers she wanted to use Cascade hops for the bittering (IBU 32) and Citra hops, something we’ve never used before, for the aroma and to dry hop it with. It smells great fermenting away and we hope that it’ll pack that same big hoppy punch without a major bitter bite. This is beer is our attempt to replicate Moylans amazing Orange and Black Celebration Ale. Last year the San Francisco Giants won the World Series and turned the whole bay area in Giants fans. To celebrate Moylans brewed up an awesome American Black Ale with Orange peel. Because we both loved that beer and because we are rooting for another Orange October we’ve attempted to brew up a clone. Ours is made up of 2 Row, Carmel 60, Flaked Barley, Debittered Black and Chocolate malts, with Mt. Hood and Liberty hops. We added some orange peel to the boil and we will also add some more to secondary. It should be great and we are hopefull the beer will be made at least once more to celebrate an Orange October. This is our one kit (Northern Brewer) that we are brewing right now. Having never brewed a Saison I was interested in getting a kit to play with the first time and next time we’ll come up with our own. 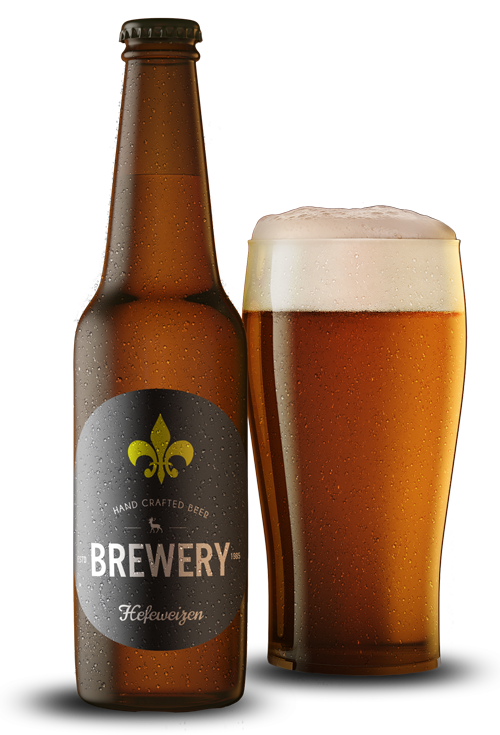 The Saison is made up of Belgian Pils, Vienna, Torrified Wheat, East Kent Goldings, Styrian Goldings, Saaz and French Saison yeast. I’m looking forward to seeing how it comes out and then adapting from there to narrow in on the flavors we like. Our final beer on our brew list right now is our Coconut brown ale. Kona brewing over in Kona, Hawaii has a great coconut brown ale that they have just started distributing. That and Maui brewings Coconut Porter were the springboards for wanting to brew our own coconut beer. What we are looking for is a smooth brown ale with a nice coconut flavor in the mix. The beer is going to be made up of Pale 2 Row, Carmel 60, Flaked Oats, Chocolate Malt, Cara-Pils, debittered Belgian Black, East Kent Goldings, Liberty, Williamette, and an English Ale yeast. We will also be adding coconut to the secondary. Should be the perfect medium bodied brown ale with hints of tropical beach that will warm up our cool foggy summer evenings. So those are our current summer plans. What are you planning on brewing for the summer?